Ursula DeVoogd’s life is a remarkable story. It is one of perseverance, compassion, commitment, and above all else, love. Known for her exceptional nurturing manner, she lived her life loving her family unconditionally. Ursula enjoyed many years of sharing her German heritage and traveling extensively throughout Europe, Canada, and the United States. 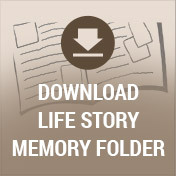 Never one to hold a grudge or hang onto bitter memories of her past, she lived her life joyfully. Ursula leaves behind a wonderful collection of special memories for her loved ones to cherish and reflect on with great fondness in the years to come. Her journey begins in the year 1929 in Schönebeck – Elbe, Germany. During this time, Germany was in the forefront of the most exciting developments in film, the visual arts, architecture, theater, and music. The German airship Graf Zeppelin had just completed an around-the-world flight. However, as a result of the American stock market crash and bank failures, Germany remained both politically and economically unstable. Born on February 19th to Charlotta Glossner, Ursula brought great joy in an era of difficult times. Ursula knew hardship from a very young age. At merely thirteen, she and her family fled to the country to escape the bombs that were decimating the German cities. Like many families, they hid in their basements to protect themselves from the enemy artillery and bombs. At just sixteen, her apartment was entered by American soldiers carrying a wounded comrade. Fearing the worst, as she had heard the official stories about enemy soldiers, Ursula courageously emerged from their basement, to find, that luckily, the Americans were kind and friendly. During this time, her family managed to escape from communist East Germany to West Berlin and later settled in Frankfurt with her mother and stepfather, Erich Buchmann. During the Frankfort Fasching celebration of 1952, a German style carnival which begins Fasching Week, Ursula met the man that would change the course of her life forever! Larry DeVoogd, an American soldier, hesitated when she asked him to dance, but after understanding that it was customary for girls to ask the guys during Fasching, he agreed and the rest is history! Their dating relationship was not without its challenges. Larry was able to transfer back home, yet the American government would not allow Ursula entry into the US. Instead, she immigrated to Toronto, Canada which was the closest she could get to Larry. The very day after Larry dismissed his fifth grade students for summer break, he raced to Toronto to be with her. 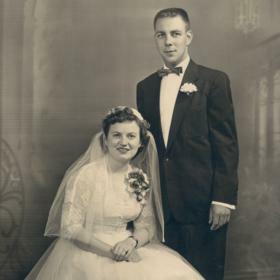 One week later, they married on June 12, 1953. Theirs was a deep love story where they remained romantically and passionately committed to one another for sixty-four wonderful years. Battle Creek became their first home together as Larry was teaching school there. They were delighted when in 1954, their son, Bruce was born! Shortly after, they moved to the Paw Paw area where their sons, Glenn, Jon, and Thom were all born during their ten years there. During his summers off, Larry was the Director of a nearby Summer Camp for a few years and Pat worked as a cook in the kitchen. By 1965, their family was complete and Larry accepted a position with Muskegon Public Schools moving the family one final time into the beautiful Beachwood neighborhood of Muskegon located just a short walk from Lake Michigan. Raising four boys together, their lives were never a dull moment. Ursula, or Pat, as Larry liked to call her, took great pride in her role as a mother and affectionately cared for each of them in her own special way. Never one to be rattled by their rowdiness at times, she often looked the other way and let her boys be boys. Proud of her German heritage, as a room mother in their elementary school, she would dress up in her German costumes and teach the classes about Germany. Pat was very involved in her boys’ lives. She cherished many years of attending all of their sporting events and school activities, while also making sure they had the best cooked food a teacher salary could afford! By the time they were middle school age, Pat became known as the cool mom as she was known to bring their lunch up to school if one of them had forgotten it. The family loved to sneak off each summer and camp together making many special memories of their childhood. 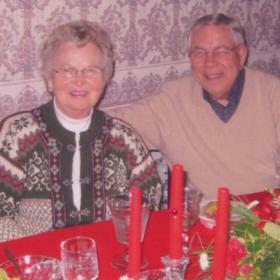 As a family, they were active members of First Presbyterian Church where Pat served as a deacon and an Elder and was also a member of the PEO. Dedicated to her boys, even when they were each attending Hope College, she would travel to campus weekly to tutor them in German. She wanted nothing more than for each of them to succeed in life. When the boys were all grown, Pat made every opportunity to develop her own special interests. By her forties, she went back to college and became an LPN, later working at Mercy Hospital and then the Christian care Nursing Home caring for the elderly. 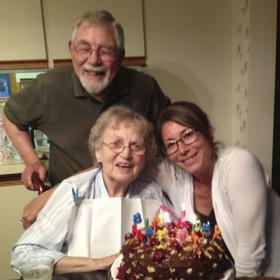 She loved to travel and she and Larry had visited over thirty different countries abroad with friends and family. She was thrilled when the Berlin Wall came down, a historical event allowing her to visit her relatives living in East Germany. She and Larry also made annual trips to Stratford, Ontario to take in the Shakespeare plays, one of their favorite pastimes. 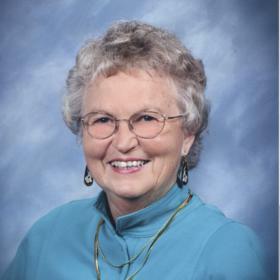 Active and social by nature, Pat enjoyed years of singing in the choir at the First Presbyterian Church, playing Bridge, and being a member of a Ladies Coffee group, as well as a Marriage Encounter group. Hard to believe she had any down time, but when she did, she savored reading books by James Michener. Pat was delighted when her grandchildren arrived allowing her to relive some of her mothering years. She loved to give them each her special hugs and kisses, read them bedtime stories, and attend all of their school performances and sporting events. She treasured spending time with each and every one of them. When she started showing signs of her struggle with Alzheimer's, Larry took the most wonderful care of her. With the help of many wonderful caregivers and her loving family, she was able to pass away peacefully in the comfort of her own home. Her warm presence and caring ways will be deeply missed by all who knew and loved her. Mrs. Ursula "Pat" Edith DeVoogd, age 88, died Tuesday, August 8, 2017. 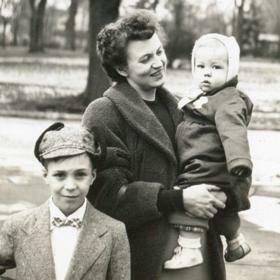 An exceptional woman, she survived World War II, Communism, and mothered four active boys. She is survived by her loving husband of 64 years, Lawrence; sons, Bruce DeVoogd of Wyoming, MI, Glenn (Karen) DeVoogd of CA, Jon (Linda) DeVoogd of Muskegon; Thomas (Janet) DeVoogd of WY: grandchildren, Lindsey (Derek) VanRees, Skyler (Tommy) Stewart, Joe DeVoogd, Miya DeVoogd, Miles DeVoogd, Max DeVoogd, Gabi DeVoogd, Ani DeVoogd; great grandchildren, Kaelstyn & Timberlie. A service is planned for telling short stories and singing the hymn Great is Thy Faithfulness, come to the First Presbyterian Church on Sherman Blvd in Muskegon on Tuesday, August 15, 2017, at 11:00 am with Rev. James B. Rausch officiating. A luncheon will follow the service at the church. Interment in First Presbyterian Church Garden. Friends and family will gather at the First Presbyterian Church on Monday, August 14 from 5 - 7 pm and again one hour prior to the service. Memorials may be made to the First Presbyterian Church.